Chuck Howley remains the only player from a losing team to earn Super Bowl MVP honors. 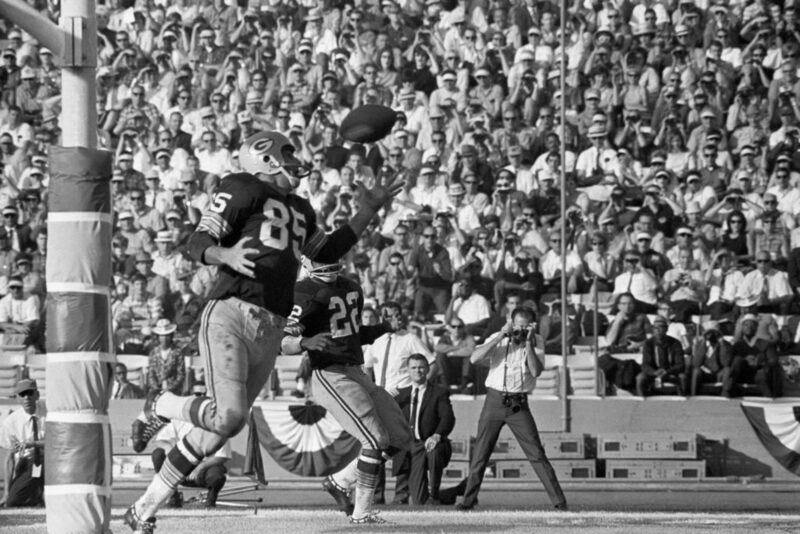 The Cowboys fell to Baltimore 16-13 to conclude the 1970 season, but the bruising linebacker intercepted two passes and forced a fumble to become the first defensive player to claim the award. The former Heisman Trophy recipient remains the only special teams’ performer to be named Super Bowl MVP. That came in the Packers’ 35-21 win over New England. Howard totaled 244 yards off both kick and punt returns, highlighted by a TD on a 99-yard kickoff return to break things open in the third quarter. Brees didn’t get any help from his running game (51 yards) against Indianapolis, so he took matters into his own hands. 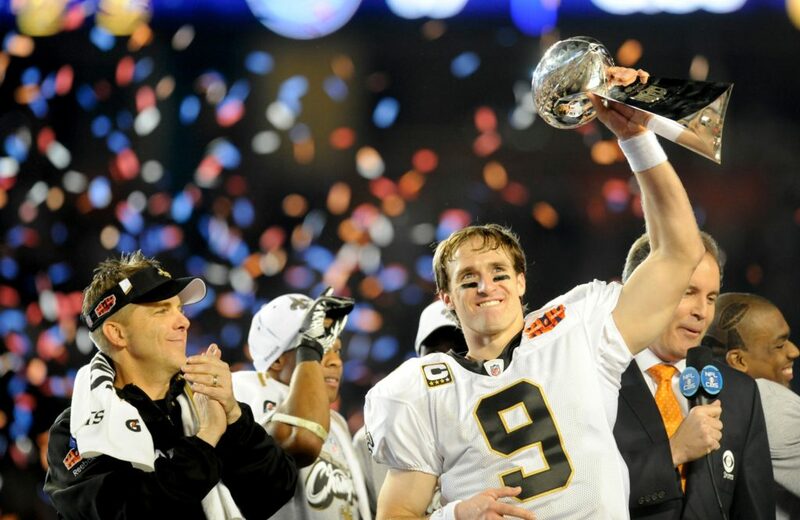 Brees was 32-of-39 for 288 yards with two touchdowns. He got help from his defense and special teams, but he was the guy the Saints needed to deliver – and he did. 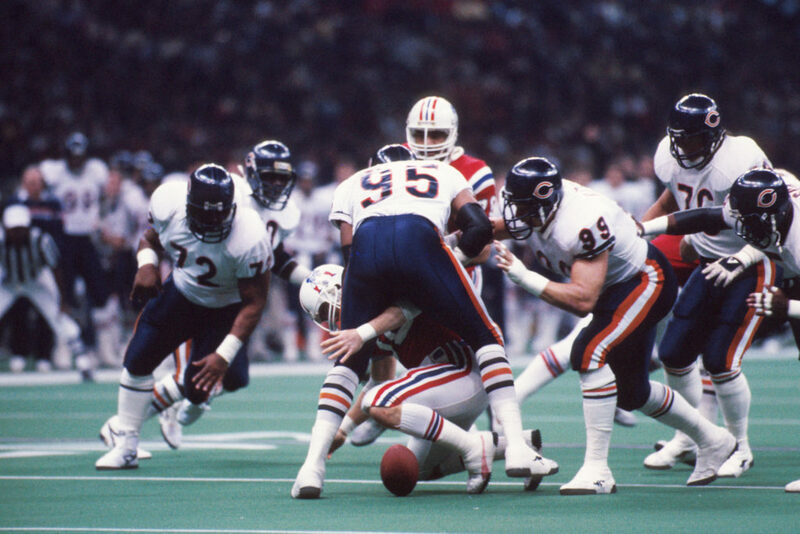 There were plenty of stars on the vaunted 1985 Bears defense, but it was Dent who shined brightest during their 46-10 rout of New England. “The Sackman” recorded 1 ½ sacks, forced two fumbles and also blocked a pass to take home MVP honors. At the time, he was just the fifth individual defensive player to share or win the award outright. 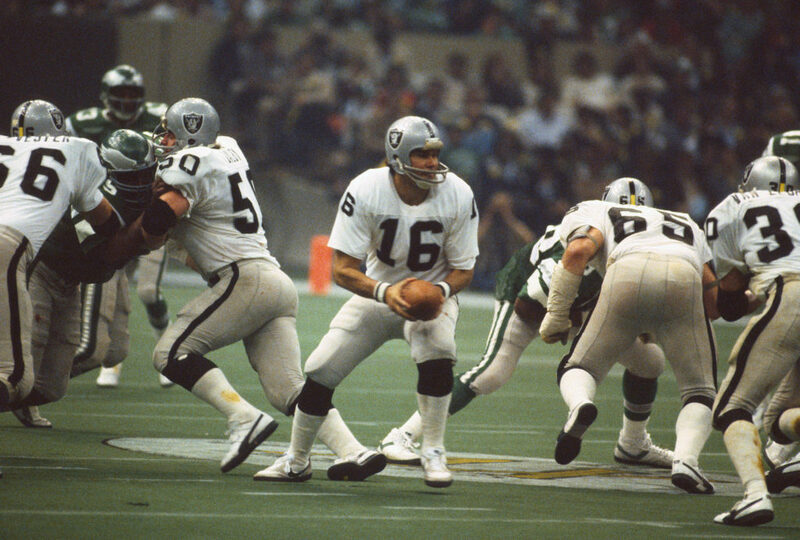 In the midst of a career resurgence, Plunkett capped a special season by leading the Raiders to a 27-10 win over Philadelphia for the franchise’s second Super Bowl title in five seasons. Plunkett was a modest 13-of-21, but threw for 261 yards with three touchdowns and no interceptions to claim the game’s MVP award. 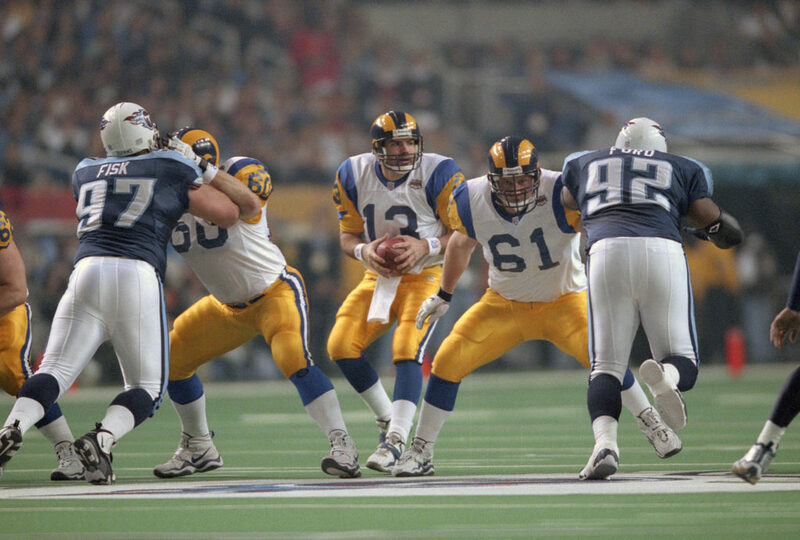 The way Aikman sliced up Buffalo’s defense during a 52-17 victory at the Rose Bowl seemed almost effortless. 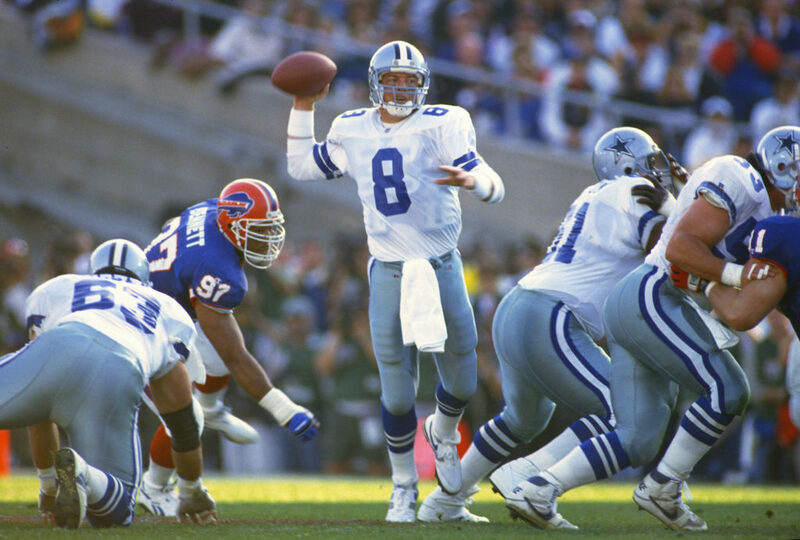 The game’s MVP, Aikman was 22-of-30 for 273 yards and four touchdowns without an interception to help give the Cowboys their first of back-to-back Super Bowl titles. 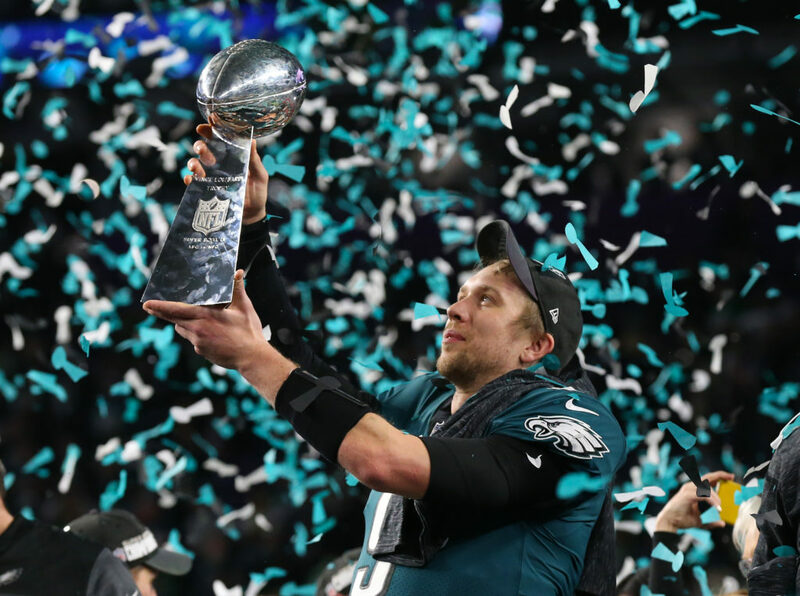 Whether it was throwing or catching the ball, Foles had himself quite a day as the Eagles stunned New England 41-33 last season to win their first Super Bowl. Highlighted by “The Philly Special,” Foles, who took over when Carson Wentz was lost late in the season, threw for 373 yards with three touchdowns and an interception as the game’s MVP. Bart Starr was the MVP of the first Super Bowl, but McGee stole the show. With his career nearing an end, not much was expected of McGee. But all he did was catch seven passes for 138 yards and two touchdowns, including the first in Super Bowl history as Green Bay rolled to a 35-10 win over Kansas City. One-third of Washington’s potent receiving trio along with Art Monk and Gary Clark, Sanders announced his presence with an 80-yard touchdown early in the second quarter against Denver. Sanders added a 50-yard score later in the quarter and finished with nine catches for 193 yards – second-most in Super Bowl history – in the Redskins’ 42-10 rout. He also caught that memorable pass from President Ronald Reagan at the White House celebration. While Plunkett was worthy of being named MVP in the Raiders’ win over the Eagles, Martin’s performance seemed just as impressive. He picked off Philadelphia quarterback Ron Jaworski a record three times, broke up three passes and also recorded five tackles. Not a bad day. 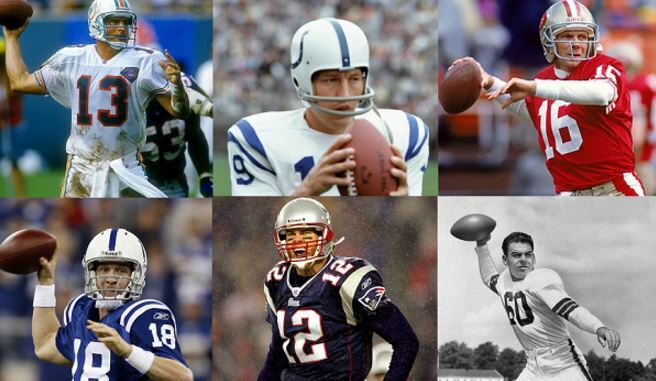 Nobody has won more Super Bowl MVP awards than Brady’s four and it’s not really easy to pick one that stands out. 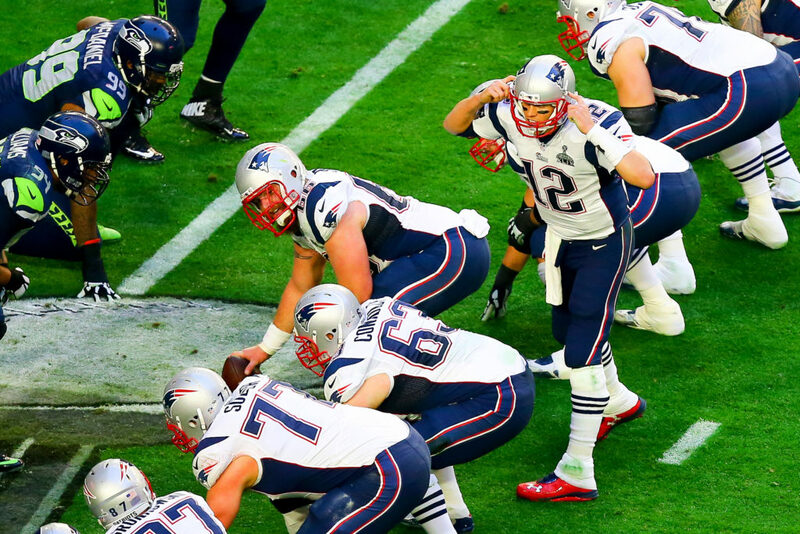 Perhaps Brady’s gutsiest performance came against Seattle. He threw a pair of fourth-quarter touchdowns to help New England rally from a 24-14 hole and ultimately hang on in dramatic fashion thanks to Malcolm Butler. He finished with 328 yards and four touchdown passes while being picked twice. We know the story, former grocery clerk turned Super Bowl hero. 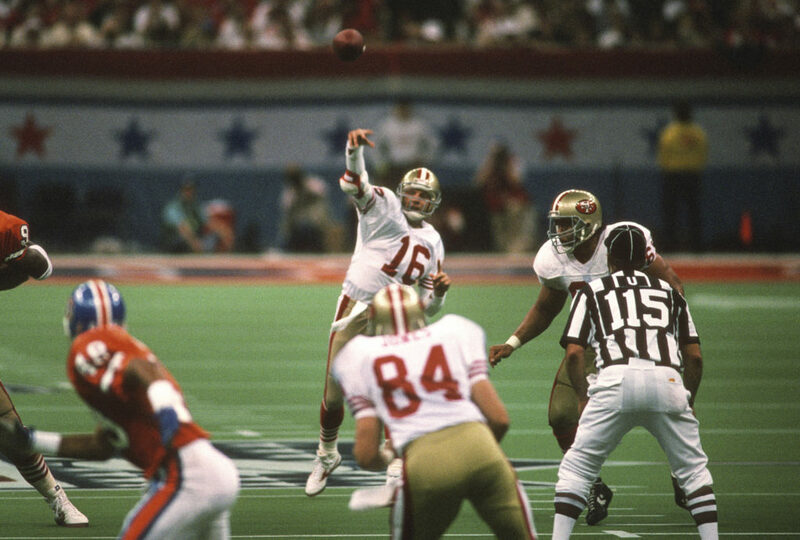 In one of the most dramatic Super Bowls ever, Warner threw for 414 yards with two touchdowns. The last on a 73-yard toss to Isaac Bruce to break a 16-16 tie with 1:54 remaining. The game’s remembered for Tennessee falling a yard short of the end zone on the last play, but Warner put the Rams in position to win. The four-time Super Bowl winner earned MVP honors on three occasions. 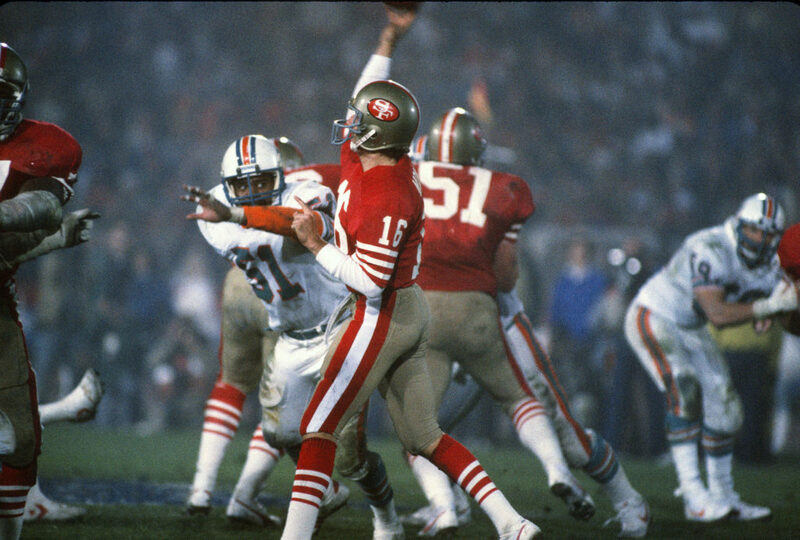 This was the second of the batch in San Francisco’s 38-16 win over Dan Marino and the Miami Dolphins. Montana was an efficient 24-of-35 for 331 yards with three touchdowns, and also ran for 59 yards and a touchdown. 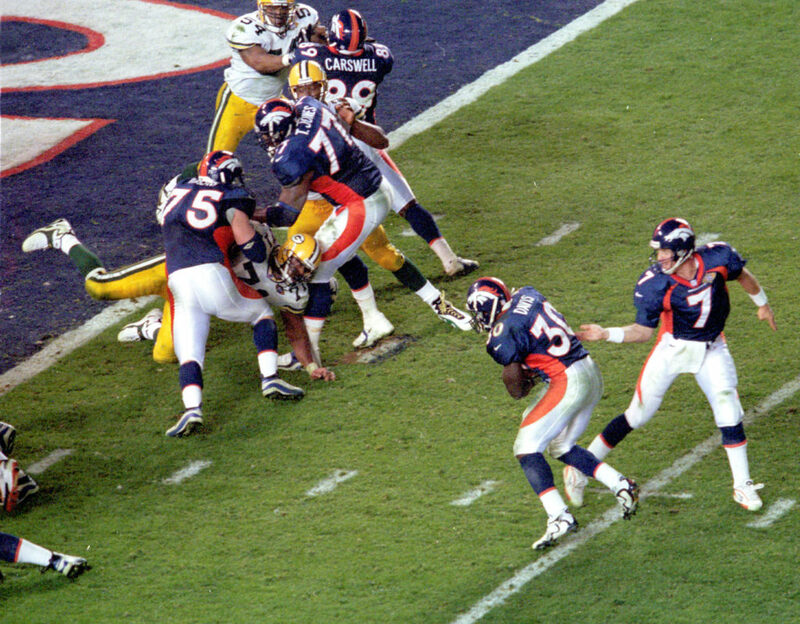 John Elway finally won his Super Bowl and would be the game’s MVP the next season, but he wouldn’t have gotten over the hump had it not been for Davis. Despite suffering from a migraine, the bruising Davis rushed 30 times for 157 yards and three 1-yard touchdowns in a 31-24 win over Green Bay. 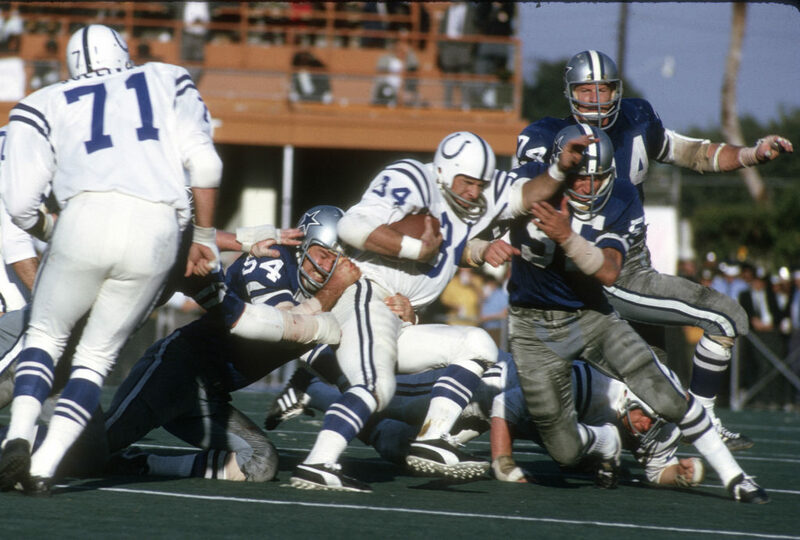 Bradshaw won his first of back-to-back Super Bowl MVPs in a riveting 35-31 win over Dallas. 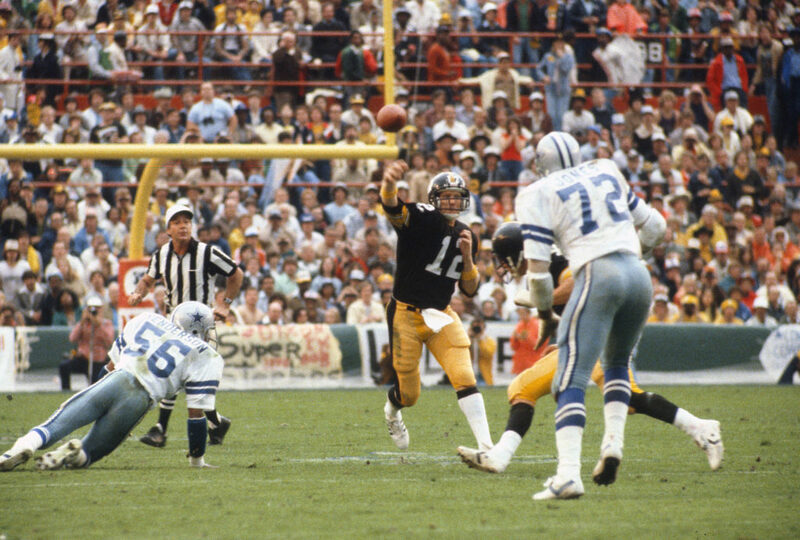 At the time, Bradshaw’s 318 passing yards and four touchdown tosses were Super Bowl records. 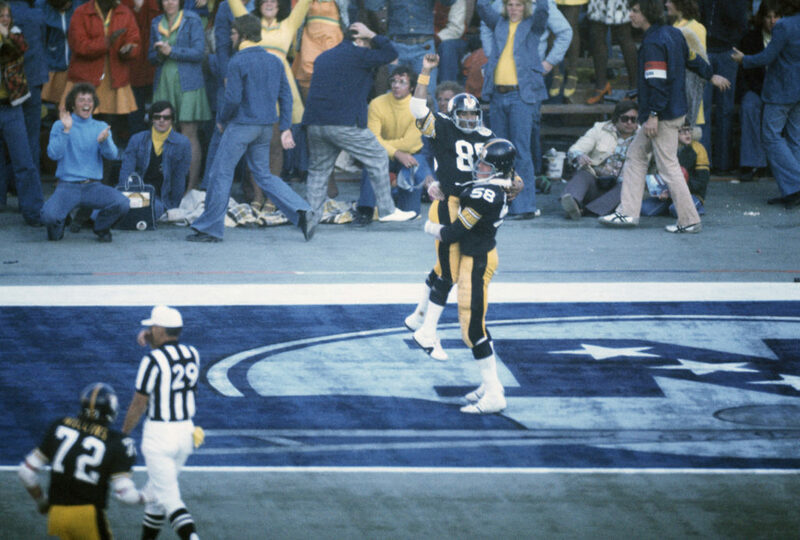 His 75-yard touchdown pass to John Stallworth remains one of the most memorable plays in Super Bowl history. 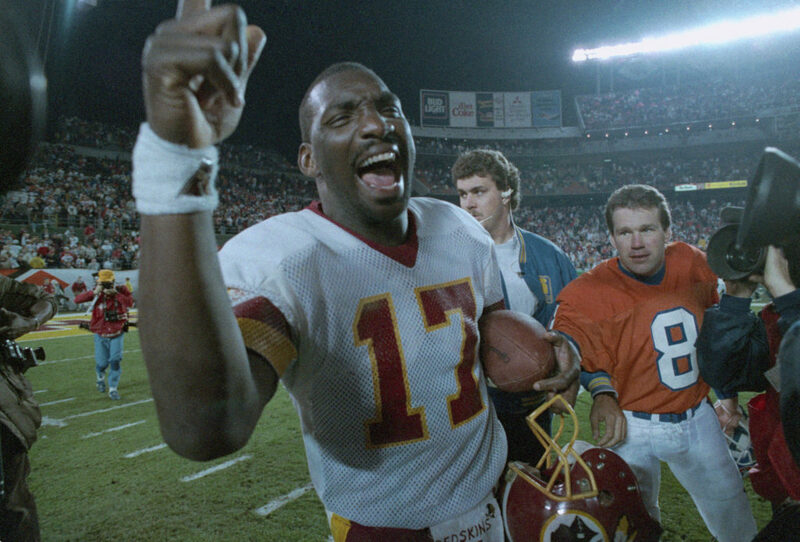 The fifth-round pick out of Texas Tech never enjoyed a game like the one he had in Washington’s rout of Denver to conclude the 1987 season. 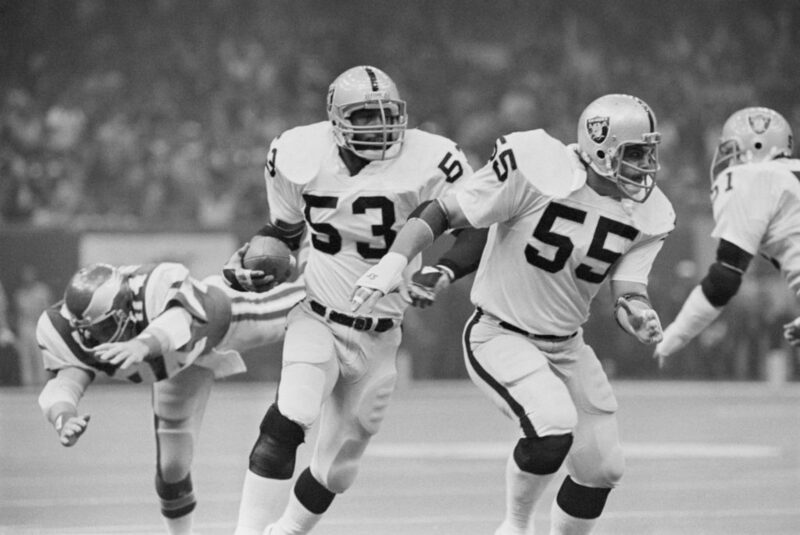 With featured back George Rogers hurt, the little-known Smith made the most of his opportunity — rushing 22 times for a Super-Bowl record 204 yards and two touchdowns. Smith, though, played just 15 more games over two seasons, gaining 476 yards. 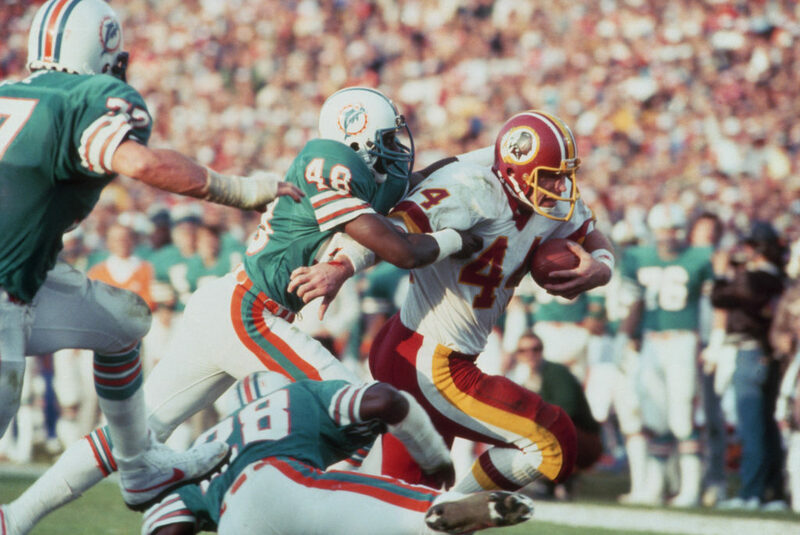 With the “The Hogs” in front of him, Riggins was a true beast in helping the Redskins win their first Super Bowl title. Against a stout Miami defense, the 6-foot-2, 240-pound Riggins had 38 carries for 166 yards and a memorable 43-yard touchdown run in the fourth quarter to put Washington ahead for good. One year after Riggins’ stellar outing, Allen went one better against a Washington defense that did not allow any team to rush for more than 183 yards leading up to the Super Bowl. That meant nothing to Allen, who carried 20 times for a whopping 191 yards and two touchdowns. His 74-yard TD run to end the third quarter in the Raiders’ 38-9 rout is the second-longest in Super Bowl history. Swann had only four catches in Pittsburgh’s victory over Dallas to repeat as Super Bowl champs, but all seemed memorable. Those four receptions totaled 161 yards. Highlighted by a 64-yard touchdown and a leaping, 53-yard grab over Dallas’ Mark Washington. 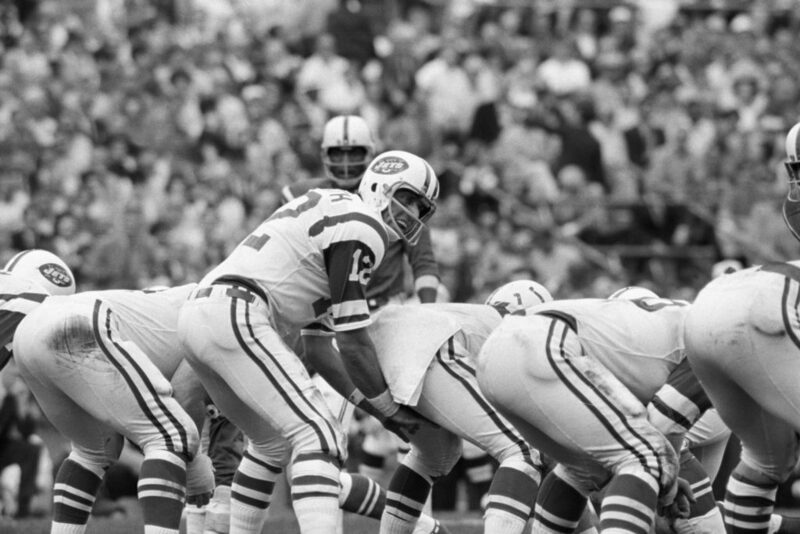 This isn’t as much about Namath’s statistics (17-of-28, 206 yards) as his presence, attitude and confidence. He guaranteed the Jets would beat the heavily favored Baltimore Colts and his teammates believed him. Inspired by Namath, New York pulled off one of the greatest upsets in sports history and changed the complexion of professional football. A year earlier, Simms was roughed up by Chicago in the NFC playoffs. 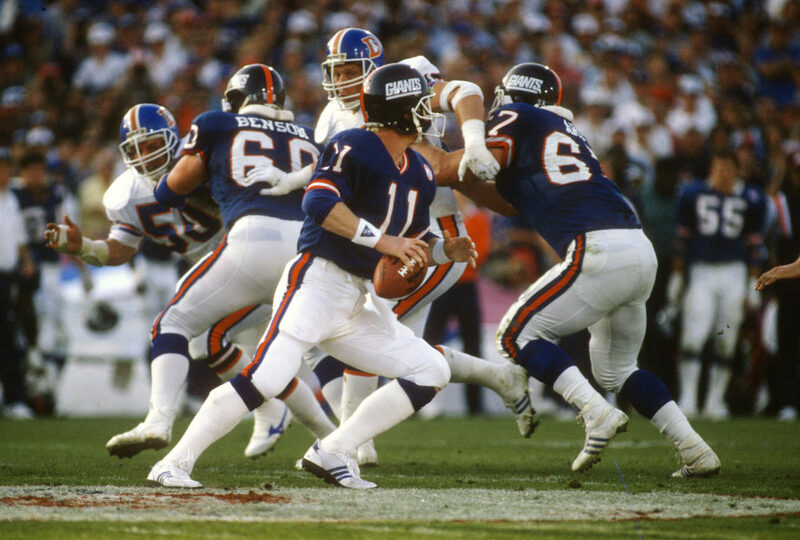 During the 1986 season, Simms regrouped to lead the Giants to their first Super Bowl title with a masterful performance in a 39-20 win over Denver. Simms was 22-of-25 for 268 yards and three touchdowns en route to winning MVP honors. 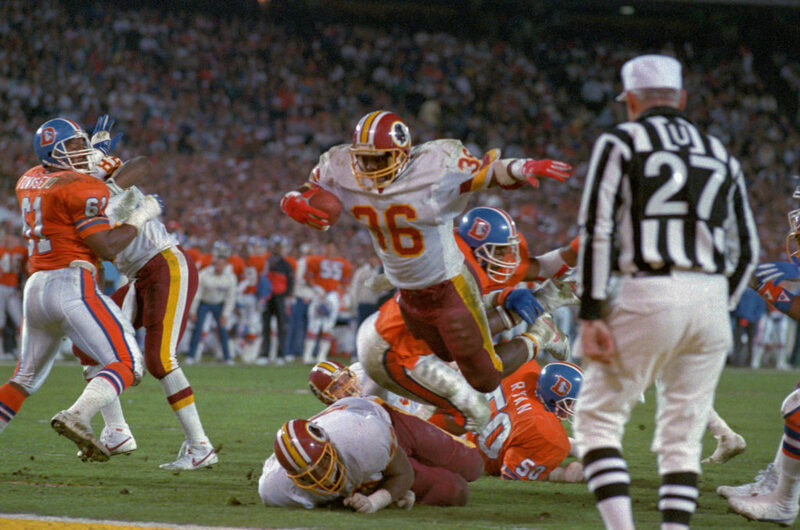 The final representative from the Redskins’ thrashing of the Broncos, Williams was the ring leader of perhaps the greatest scoring barrage in Super Bowl history. With Washington trailing 10-0 and Williams hurting, he threw four touchdowns en route to a 35-point second quarter. Williams, whose career was at a crossroads at the time, finished with 340 yards on just 18 completions to earn MVP honors. 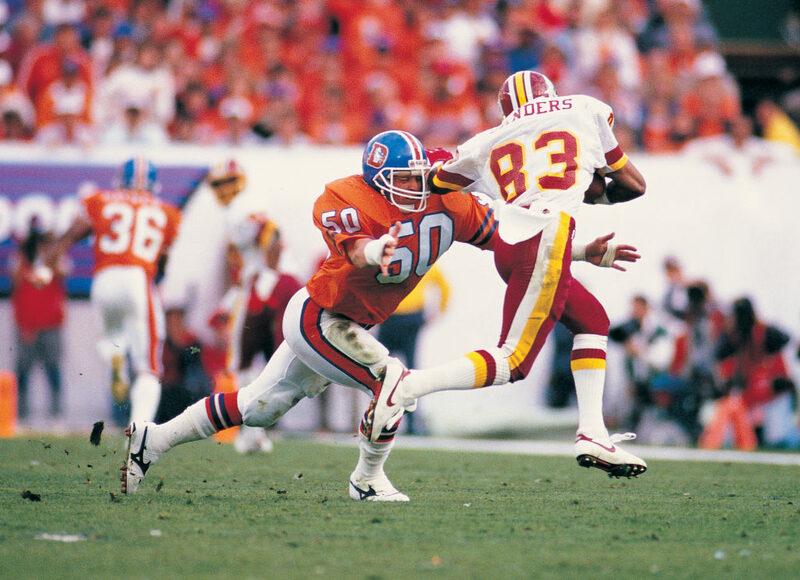 This was Montana’s final Super Bowl appearance, and he saved the best for last in a 55-10 rout of Denver. The most impressive part about Montana going 22-of-29 for 297 yards with five touchdowns and no interceptions was that he made it look so easy. He completed 13-straight passes during one stretch and finished with a passer rating of 147.6. 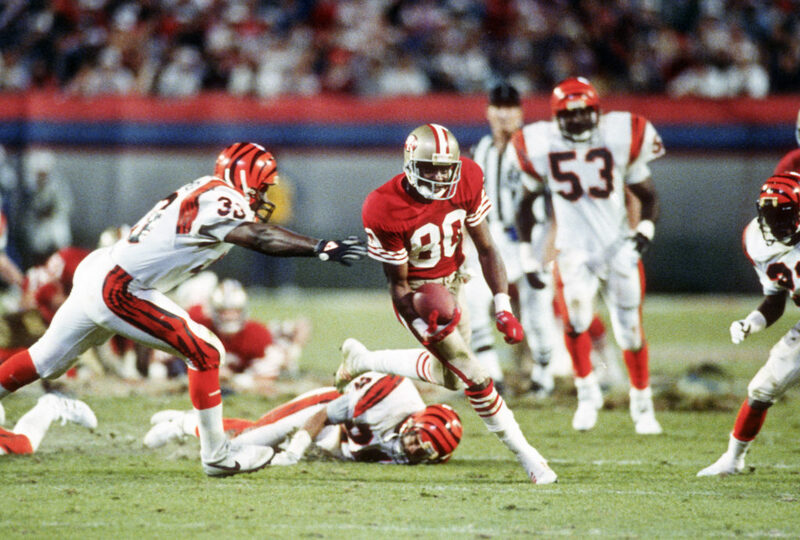 John Taylor might be remembered for catching the winning touchdown pass, but San Francisco’s Super Bowl victory over Cincinnati was all about Rice. 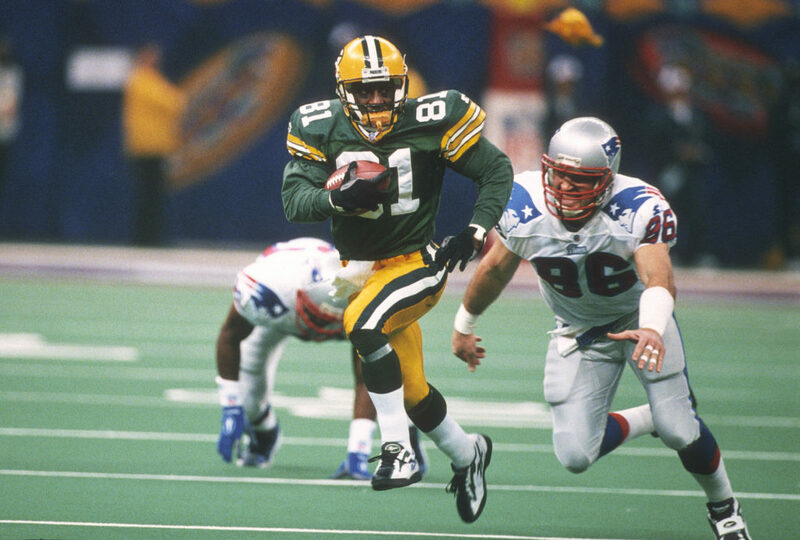 He caught 11 passes – tied for third-most all-time – for a record 215 yards and one touchdown. He was also on the receiving end of a 27-yard pass play on 2nd and 20 during the 49ers’ winning drive. No longer in the shadows of Joe Montana, Young officially made a name for himself with this remarkable effort in the 49ers’ 49-26 win over San Diego. 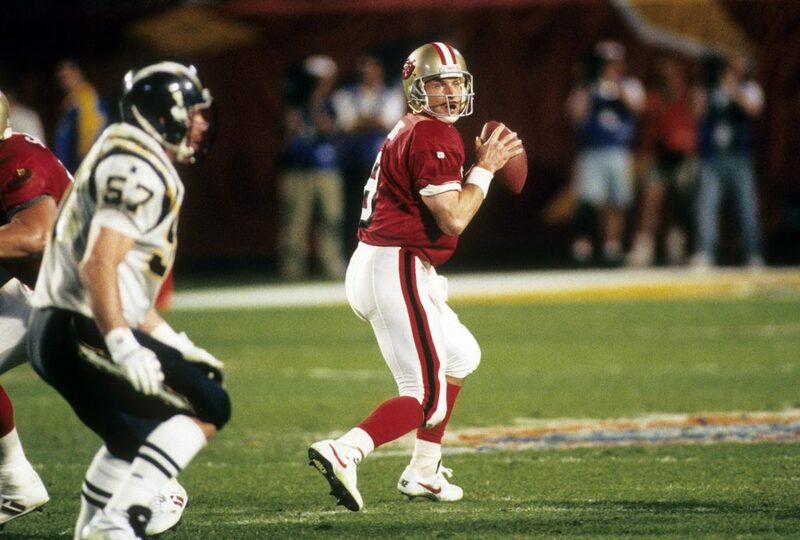 He was masterful while going 24-of-36 for 325 yards with a Super Bowl-record six touchdowns and no interceptions. The MVP also ran for a team-leading 49 yards during San Francisco’s last Super Bowl championship.